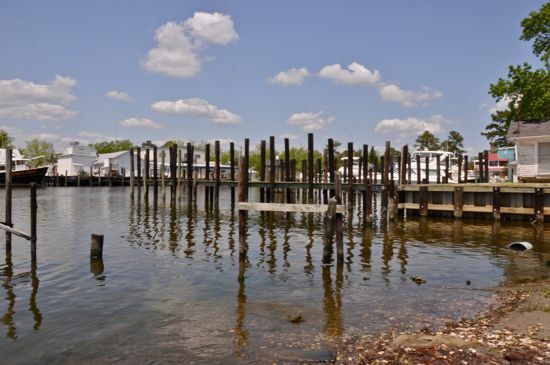 t its meeting Tuesday night, May 3, Oriental’s Town Board could vote on whether to move forward with plans for a second Town Dock on Oriental’s harbor. A public dock is proposed for the harborfront end of South Avenue. Like the existing Town Dock on Hodges, it would be a bare-bones dock offering no service other than a place to tie up a boat so the crews can visit Oriental. What’s in place there now are remnants of the old docks that were part of a one-time boat yard. Building a dock where visiting boats can tie up at the end of South Avenue has been a topic of conversation since the town fought for — and won — a lawsuit over its claim to the South Avenue land on the harbor. Advocates say it would be a magnet for visiting boaters to come to Oriental. That, they say, would help the local economy. Some opponents have emerged, however and say a public dock would compete with at least one nearby marina. Bringing the proposal to the Town Board is Commissioner Barbara Venturi who suggests a 130-foot long dock would extend from the land at the end of South Avenue and in to the harbor. About 15-20 feet of the dock, she says, would be over land. It would be two concrete hog-slats wide – approximately 9 feet. There would be 9 feet of water at the outermost end of the dock, she says, and at least 4 feet of water 80 feet in toward the shore. No bulkhead is planned; leaving a beach would allow small craft such as kayaks to easily launch from there, too. A local dock builder has said the cost for removing the old pilings and installing the new dock would be $26,482. Venturi says that could be paid entirely from the money set aside from the town’s occupancy tax, which designates that the funds may be spent on waterfront improvement projects. As seen from across the harbor, the end of South Avenue where it meets the water and where a spartan dock – offering no services beyond a place to tie up — is proposed. To the left is a dock owned by Chris Fulcher where trawlers are sometimes found. 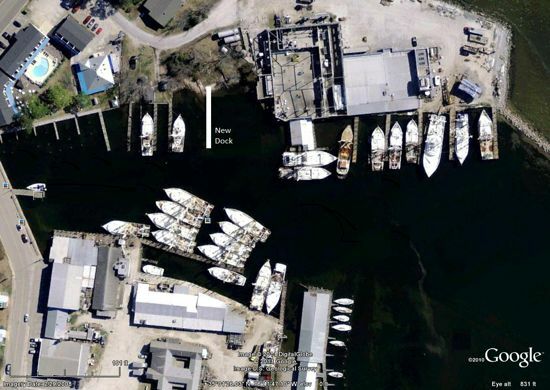 Further to the left is a commercial marina which offers full-service amenities. At the Board’s’ agenda meeting on Thursday, April 28, fellow Commissioner Candy Bohmert objected to the proposal. She said that a public dock would compete with privately run marinas. She says that a part owner at Oriental Marina, just up the harbor, objects to the plan. South Park, and some of the remaining pieces from a long-ago pier. 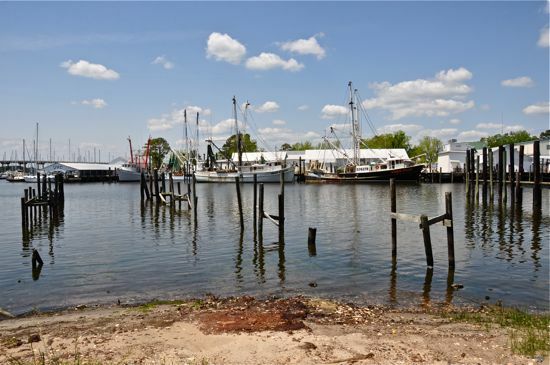 The proposed dock to be built by the Town would extend in to the harbor at the same angle as the newly built trawler dock to the right, which is owned by Chris Fulcher. Beyond those docks are the slips of the Oriental Marina. By comparison, the proposed Town Dock off of South Avenue would be free and would offer nothing other than a place to tie up. If it were operated like the existing Town Dock at Hodges Street, boats would be limited to a 48-hour stay. It would be approximately 2 and a half times the length of the existing Town Dock. A dock associated with a boat yard used to stand over the water at the end of South Avenue. There are some remnants of previous docks at the site. 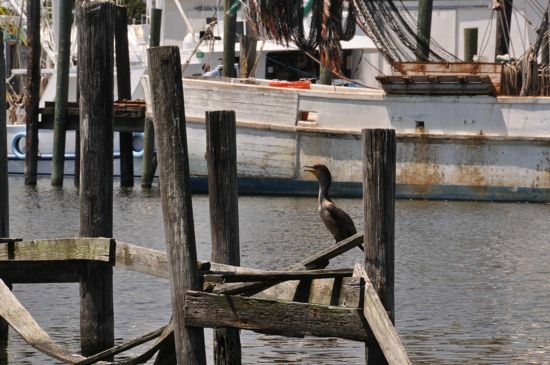 They would be removed before new pilings could be put in place for a new Town Dock. Dave Cox, a former town commissioner who was instrumental in Oriental winning its lawsuit to maintain control over the harborfront end of South Avenue, has long advocated a public dock be built there for transient boaters. 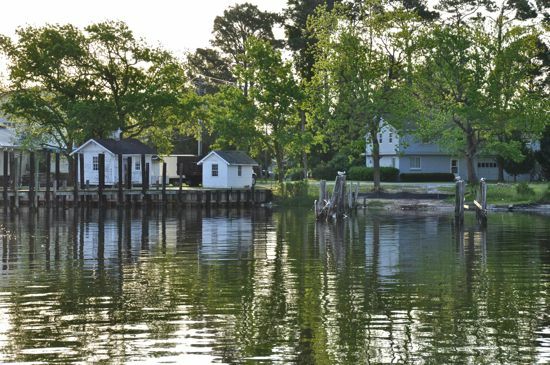 Speaking with Commissioner Bohmert after the Thursday meeting, Cox asked her to consider the competition that the town as a whole faces from other waterfront towns on the ICW, such as Bath, Belhaven Beaufort and little Washington. Offering another public dock where boats could tie up, Cox says, would help Oriental compete and attract more of the thousands of boaters who travel up and down the Waterway each year. And that, he says, would benefit restaurants, shops and other places and services in town where sailors would spend their money. South Park, the end of South Avenue. The town waged a legal battle to maintain that land. The adjacent property owner (lot to the left) Lacy Henry claimed the land was his, but lost in court. Had he won, he planned to build an 8 slip commercial marina that would have competed with other commercial marinas. Instead, the town won and now plans a bare-bones dock where boats can tie up. . Putting a second town dock on the harbor and offering more public dockage would also rectify a situation that arose almost a decade ago, when the size of Oriental’s free anchorage shrank. The free anchorage used to extend from the breakwater to the Oriental bridge. When the Oriental Harbor Marina was built, its three docks took the space that had been a free anchoring area for visiting boaters. The anchorage was reduced to its present confines, the area between the breakwater and Oriental Yacht Club. Oriental’s Town Board meets tonight at 7. Oriental levies a 3% occupancy tax on lodging in town. Approximately $20,000 a year is collected by the various lodging establishments. Half goes to the Tourism Board, which largely spends its share on advertising. Half goes to the Town to spend on projects such as a town dock. Approximately $150,000-$160,000 has been accumulating in a fund for such projects. Here is how the occupancy tax is spelled out in Oriental’s Code of General Ordinances, Chapter L.
a) At least one-half ½ of the proceeds shall be used only to promote travel and tourism in the town with 80% to be spent to increase the use of lodging facilities in the town and the remaining 20% is to be used based on the term “promote travel and tourism” means to advertise or market an area or activity, publish and distribute pamphlets and other materials, conduct market research, host and conduct tours for travel industry representatives and travel writers, or engage in similar promotional activities that attract tourists or business travelers to the town; the term includes administrative expenses of the town incurred in engaging in the listed activities, administered by the Tourism Board with approval by the Town Board. b) The remaining one-half ½ shall be used only for tourism-related expenditures. The term “tourism-related expenditures” means expenditures that are designed to increase the use of lodging facilities in the town or attract tourist or business travelers to the town and the cost of administering and collecting the tax; the term includes expenditures to construct, maintain or repair a visitor’s center, a convention facility, a museum, an historic attraction or a publicly owned waterfront structure, but does not include other capital expenditures as administered by the Town Board.